Kit 'n' Carlyle is an American daily comic strip. It was started in 1980 by Larry Wright, who was also the editorial cartoonist for The Detroit News. 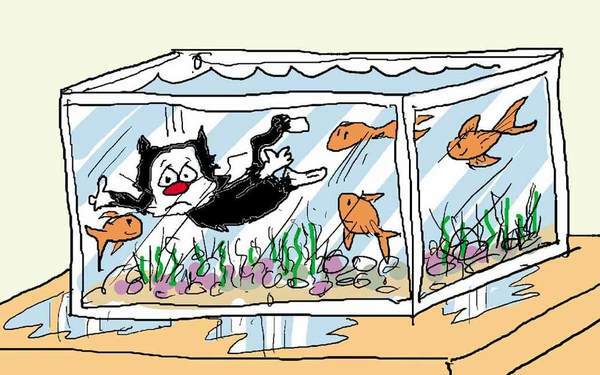 The single-panel strip is syndicated by Newspaper Enterprise Association, Inc. Its gags center on a single woman named Kit and her cat, Carlyle. The name is a word play on the name of actress Kitty Carlisle. The strip's run ended on November 7, 2015 as a result of Wright announcing his retirement.